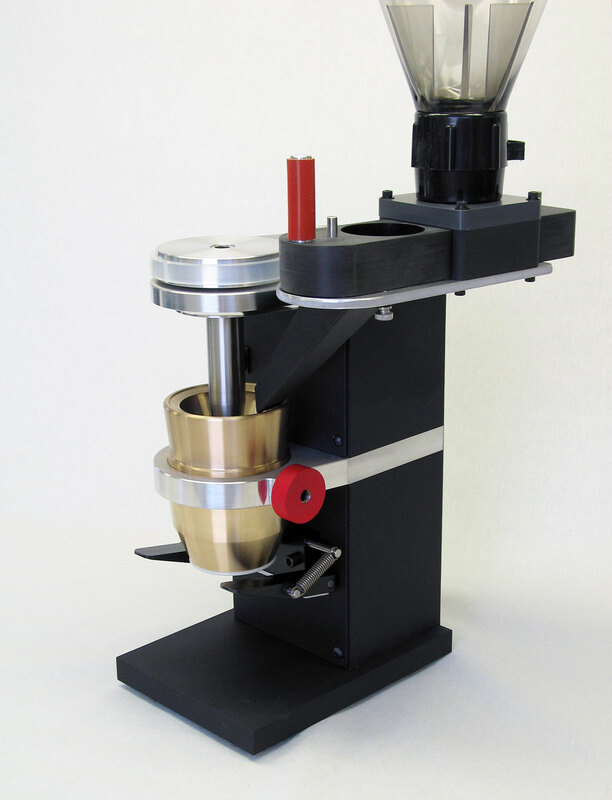 The design answers all the requirements of making a voluptuous cup of espresso. That it can make a brilliant Turkish or press pot grind comes as a plus. The main requirements for an espresso grinder are to limit the mistreatment of the coffee. • Cut the beans over a long grind path minimizing rubbing and smashing. • Use a cool running DC motor, well away from the grinding chamber, minimizing heating. • The straight through grind path and no retention prevent stale flavors. • Provide a good particle distribution in the porta-filter. Eliminate post grind grounds manipulation. The M4 accomplishes these things to a singular degree. • Conical burrs combined with 68mm. flat burrs. Total grind path of 40.6mm or about the equivalent of 96+mm. flat burrs. The burrs are a combination of conical and flat. The beans are dropped into a conical area where they are broken into small pieces. These pieces are then small enough to enter the flat burrs to be finished ground to the chosen size. This is a compact burr set with a long and easy grind path, minimizing harsh treatment of the coffee and producing fluffy non-oily grounds. All the coffee entering the grinder leaves via the bottom funnel in a circular fluffy deposit into your portafilter. • Simple and rapid workflow. Minimizing the evaporation of flavors volatiles. No need for wetting the beans or dressing the grounds — a light tap to settle, and ready to tamp. This ensures no delay into the espresso machine, thus ensuring no loss of all the volatiles. • Grind fineness is adjusted by turning the top funnel, infinitely variable. The fine thread of this adjustment allows a small movement of the top funnel to change the grind size by about .00005” ( a little over a micron) or 1/60th the thickness of a human hair. • The motor is a DC motor made by the premier US manufacturer. Burr speed is 500 rpm. Grinder parts are produced by an aerospace and defense machining company here in Albuquerque New Mexico. Allowed variation in dimension ranges from +/-.002” to +/- .0002” depending on the parts requirements. Some of the parts are then powder coated, others are hand finished by custom equipment at Versalab. Accuracy of the moving parts and their finished alignment is checked multiple times throughout assembly in Versalab’s shop. The design, manufacturing accuracy, and attention to detail combine to create a superb coffee grinder. Standard 1 kilo hopper adds 5 1/2" per side. Total height becomes 25 3/4", depth becomes 12 1/2". Medium 1 lb. hopper makes the machine 22 5/8" tall. Short 1/2 lb. hopper makes the machine 20 1/4"
#98 – thicker felt pad feet to reduce noise for consumer kitchen counter. Build 48 Dec. 2011 #234 – bad burrs. Bradbury’s couldn’t grind fine enough. [Dec ‘11] Sent back to us; we tracked down problem and fixed it. Several other grinders from that time also had the problem of not being able to grind fine enough – all resolved with replacement burrs. The manufacturer allowed too great an exit hole for the grounds. Build 60 Late Aug 2012, #299 onwards Big pulley/shaft bolt torqued to 200 in/lbs. Build 73 June 2013 # 356,7,8,9 – and onwards. Shafts pressed into bearings, checked for run out. Glued into top plate. Recheck run out. Top of grinder frame dowelled together within .002”. From this time on, misalignment is not possible unless the machine is damaged (even shipping dropping wouldn’t alter alignment). Radial run out within .003” TIR, axial within .0004” TIR. Build 114, Nov., #555 onwards 17-4 ph stainless steel small pulleys. Quite hard. The original design of knurled aluminum pulleys were found to be wearing the knurling. The new pulleys will last a very long time. Build 128, Nov., #612 on - tighter belts, slight increase in speed to 550 rpm. To provide better grinding with light roasts. ​Now renamed M4. Incorporates new motor speed control circuit board. Speed 480. Dual belt system. SSP burrs as standard. 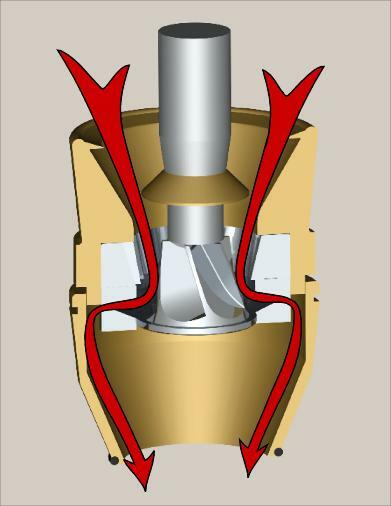 Cosmetically revised top funnel. 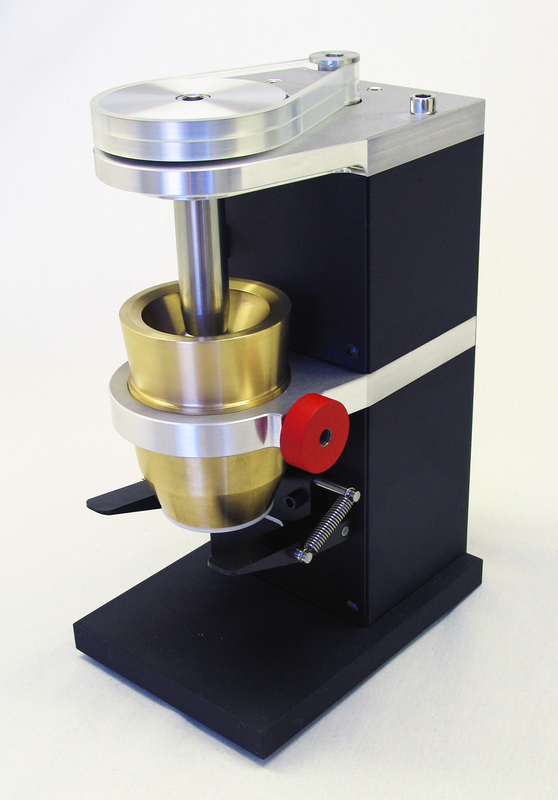 • Versalab has completely upgraded the burr drive system. The increasing desire for light roast espresso has finally obsoleted the original system. The same DC motor is now driven with a very smart speed control board that has demonstrated its ability to prevent belt slippage while driving harder than the previous motor board. The drive belts have also undergone an upgrade. 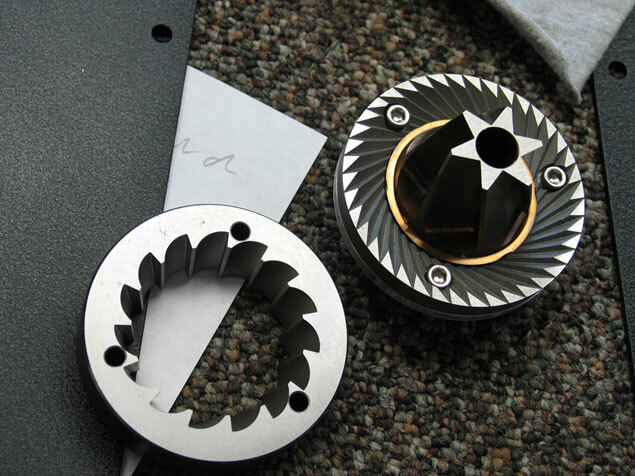 Now using two 3/8” wide belts, rather than the original 1/2” wide, the torque capacity is 150% of the previous design.​ The M4 ships standard with the original design burrs now made for us by SSP.